On February 6, 2019, over 40 students attended Sunrise’s watch party on Facebook in Trotter Hall, where Sunrise Movement members and Naomi Klein, climate change activist, outlined the movement’s next steps toward bringing the Green New Deal to Congress. 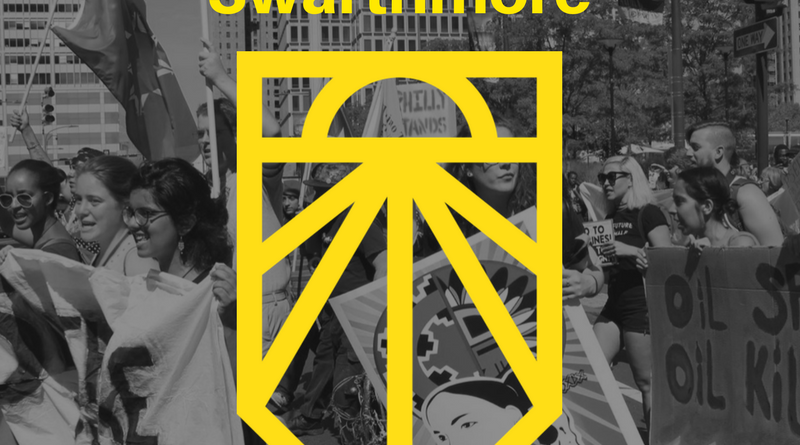 Swarthmore’s Sunrise chapter is part of a national organization focused on bringing climate change to the frontline of national politics. It garnered national attention when they participated in two sit-ins in November and December in front of then-House Minority Leader Nancy Pelosi’s (D-CA) office to gain her support of the Green New Deal. On February 7, 2019, Rep. Alexandria Ocasio-Cortez (D-NY) and Sen. Ed Markey (D-MA) launched a joint resolution to the Green New Deal in Congress, garnering 64 House co-sponsors and 9 senate sponsors to date, according to the Sunrise Facebook Page. The Green New Deal consists of several proposed pieces of legislation that aim to combat climate change while creating jobs for underrepresented people, which is continually being tweaked to achieve a result that is a reflection of the people that worked to get it there. From their initial spark, the movement grew to include chapters all across the United States. From February 11-13, Sunrise activists, including Swatties, visited congressional district offices across the country to display their support of the Green New Deal. 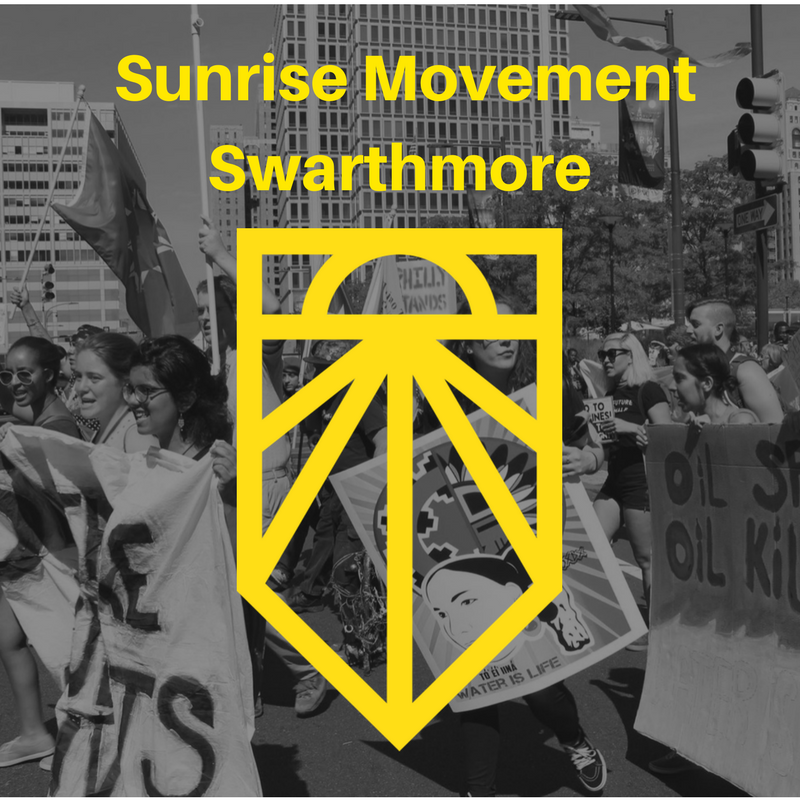 According to Emma Walker ’20, a hub coordinator of Sunrise Movement at Swarthmore, Sunrise was founded two years ago by a group of people which included Swarthmore alums. “[The Sunrise Movement] was started by 12 young people who were terrified of climate change, and scared of what life would be like for our generation’s future,” said Walker. According to CNN, the UN Intergovernmental Panel on Climate Change (IPCC) released a report in October 2018 that outlined how the planet’s temperature will increase by 1.5 degrees Celsius — speeding up the likelihood of droughts, wildfires, and floods. A key component of the Green New Deal is to combat economic, racial, and gender injustice while tackling climate change in the process. This proposes the creation of green jobs, new careers that support the nation’s economy and preserves the state of the earth’s climate as well. The Green New Deal also proposes a shift from fossil fuel to a renewable-energy-based economy. Klein believes that the Green New Deal attacks the complex issue of climate change with attention to how historically underrepresented people are impacted by current capitalist policies in an attempt to help them attain economic security. Sunrise has come a long way over the course of two years, coming from 200 youths participating in sit-ins at Minority Leader Pelosi’s office to thousands of people across America pressuring their local representative to support their cause. Sunrise’s chapter on campus aims to assist in the collective push for the Green New Deal by reaching out to Representative Mary Gay Scanlon (D-PA), the representative for Swarthmore’s congressional district. Many of the watch party attendees signed a letter urging Rep. Scanlon to co-sponsor the Green New Deal. Sunrise members believe that the Green New Deal is a beginning, not an end. “[The Green New Deal] is something worth continuing working on, not [just] a policy that we are pushing for. It is a set of ideas and ideals that we are continuously shaping,” said Walker. This article has been updated to reflect the correct titles of Sunrise members.